The Gustavus Adolphus College Symphony Orchestra, conducted by Warren Friesen with violin soloist Brian Buckstead, is making its final preparations before embarking on a 15-day (Jan. 18-Feb.1) international concert tour in the People’s Republic of China. You can follow the orchestra’s tour of China on the Office of College Relations blog. Director of Design Services Sharon Stevenson will accompany the orchestra in China and will provide commentary, photographs, and video from the tour. This will be a return trip to China for the 67-member symphony orchestra. The 2004 tour was deemed such a successful learning opportunity for the group, a decision was made to return to the most populous country in the world. 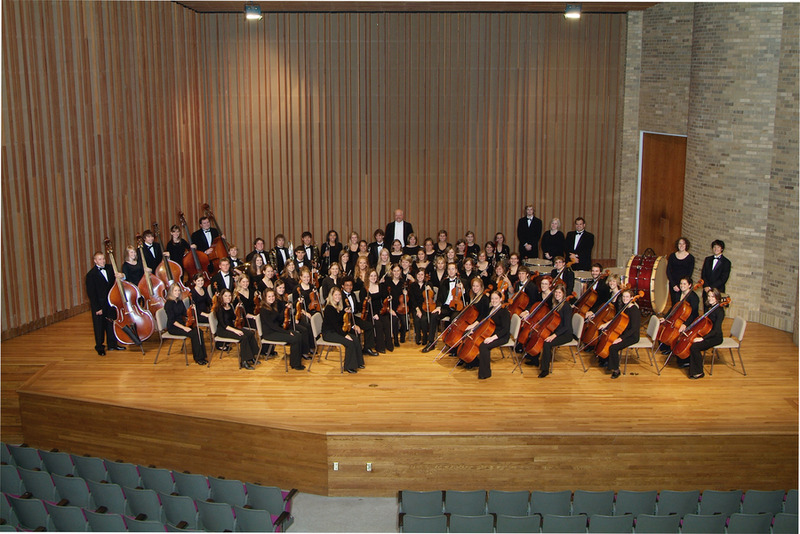 The tradition of concert touring by the music ensembles at Gustavus was established as early as 1878 for the musical, artistic, and educational benefit of the student members. Extended domestic and international tours are a unique feature at Gustavus. These tours are combined with a specially designed companion course to provide an interdisciplinary perspective for the students, develop increased cultural awareness, promote a more diverse student body, and build cross-cultural bridges.